Vera and John Casino is a first-class online casino having a wide range of casino games ranging from slot machines, blackjack, online roulette to a wide selection of jackpot slots. They have been in business since 2009 and although the interface may seem a bit too haphazard for some, but it more than makes up for it by offering great rewards, bonuses and customer support. Interestingly, Vera and John Casino holds the record for awarding a player with the largest winning sum of 16 million crowns. Moreover, during the previous year, they awarded $50 million worth of prize money every day to their players worldwide. This is a strong testament of their popularity and success. Vera and John Casino offers a wide variety of games that will appeal to people with all tastes. They use games developed by some of the best developers out there, which combined with the good software they use to run these games, ensures that the customers get a smooth gaming experience without any glitches. 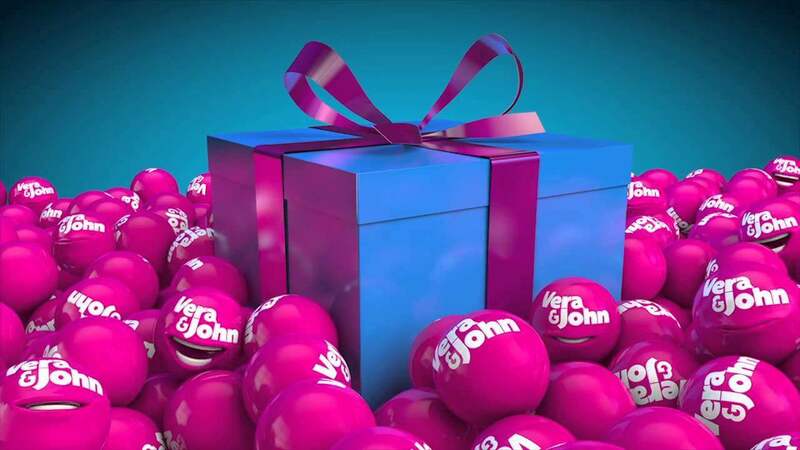 Deposit a minimum of $ 100 on your new Vera and John Casino account and you’ll receive 200% bonus up to $400 in bonus. On top of that you get 10 free spins immediately and then 10 free spins every day for the following nine days. With your second deposit, you will receive 100% in the deposit bonus up to $ 500 when you deposit at least $ 100 in the account. Again, you get 10 free spins directly into your casino account over the next ten days. All in all, it gives $900 in bonus and 200 free spins over your first 20 days playing at Vera and John Casino. John and Vera Casino is different from other online casinos in the sense that it allows you to level up and unlock better and better awards. The more you play, the more points you earn. These help you improve your level from a ‘visitor’ to ‘casino manager’. With each level, you get the chance to win new offers, bonuses and perks. You can also earn different emblems and accolades that you can use to show off your skills as an online casino player. These include emblems like Enthusiast, which you receive if you log into your account 100 times, and Sharpener, which you receive if you play 100 rounds of the same game. John and Vera Casino, allows you to enjoy a great gaming experience regardless of the medium. You can access all of the features even through your mobile devices directly through the web browser and the experience will be as smooth as that on a PC.